Better Car. Better Job. Better Life. Here are the stories that inspire us. Carl is had provided for his family with his own lawn care and moving business. He took out an auto title loan on his truck to build his credit, but the truck broke down. Siera is a 29-year-old who has been working full time and taking classes at Literacy ruction for Texas to increase her earning power. Even though she had always had a job. Sandra found us through St. Luke’s Community Church. A single mother with a two-year-old and 17-year-old, she had a high-mileage older vehicle plagued with constant costly repairs. Café Momentum recruited Jim from New York to work with its nonprofit program that provides paid culinary internships and life skills training for juvenile offenders to foster successful reentry into the community. Michelle has been through some tough times. She had a difficult divorce that left her deep in debt and a job that required long hours seven days a week—without over time. Kela is a divorced mother of two who was referred to us by Catholic Charities. She had a job with Bell Helicopter and a reliable car when tragedy struck. Pam used to get up at 2:45 a.m. every workday. After having her breakfast, getting dressed, praying and meditating, she started walking to the bus stop at 3:45 to catch the 4:07 bus. 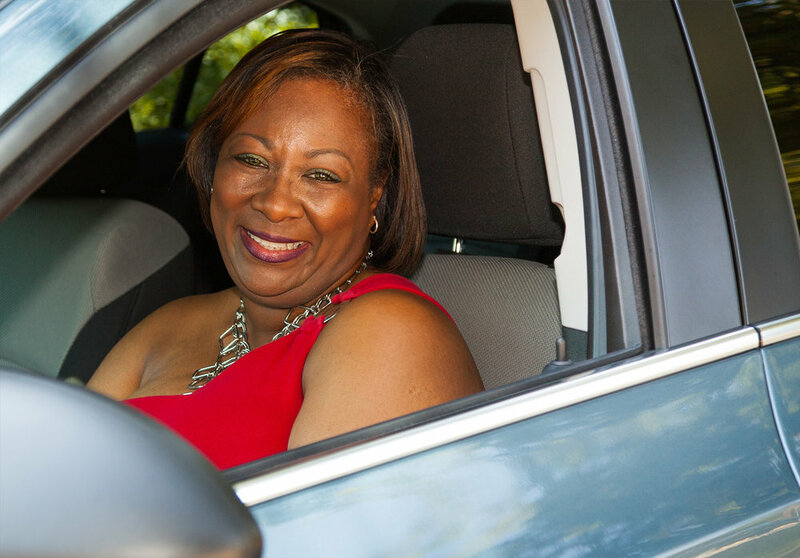 Carolyn had a high-mileage Mazda deemed unsafe by her mechanic—whom she saw far too often. With an unreliable car, getting to her job at an area hospital and raising her three children were constant struggles. Join our community to receive updates about our clients and programs. On the Road Lending’s loan fun, OTR Fund I, LLC, is a Community Development Financial Institution (CDFI) certified by the U.S. Department of the Treasury. CDFIs provide credit and financial services to underserved markets and populations to help low-income and other disadvantaged people join the economic mainstream.